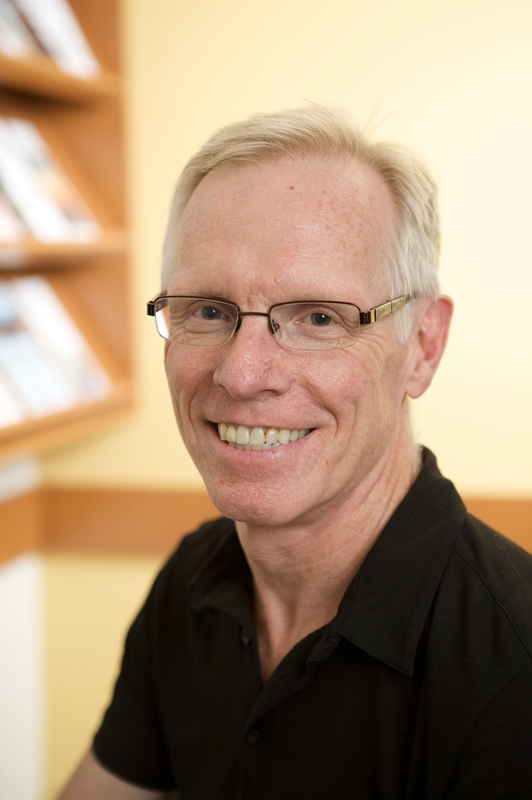 Dr. Burge's research interests lie in health services research in primary care with a focus in the area of end-of-life care. For a number of years, he and his colleagues have conducted administrative health data record linkage projects, examining how health services are provided to the dying in Nova Scotia. The care provided by family doctors has been of particular interest — especially how continuity of care influences health service utilization for the dying. Recently, his team completed a large provincial mortality follow back study to examine unmet health-care needs of the dying. Other areas of interest are focused on improving the quality of primary care, including chronic disease management, through the application of research evidence in this setting and developing tools and strategies to improve that care. He is also interested in research and evaluation of new models of primary care. He co-leads the Dalhousie Collaborative for Primary Healthcare Research, an inter-faculty initiative to increase primary healthcare research (CoR-PHC). Building Research for Integrated Primary Healthcare (BRIC NS) is also under his leadership (BRIC-NS). He is a founding co-investigator on the team of "TUTOR-PHC," the first CIHR funded interdisciplinary training centre for primary care research. This virtual centre is a joint initiative with graduate research students from across Canada. He is particularly interested in supporting the development of the next generation of researchers in family medicine and this training centre is one vehicle to ensure they will be there (see web link). Wong, S. T., Hogg, W., Burge, F., Johnston, S., French, I., Blackman, S. (2018). Using the CollaboraKTion Framework to report on primary care practice recruitment and data collection: Costs and successes in a cross-sectional practice-based survey in British Columbia, Ontario, and Nova Scotia, Canada. BMC Family Practice, 19(87), 1-13. Wong, S.T., Johnston, S., Burge, F., McGrail, K., Hogg, W. (2017). Measuring Patient Experiences: Is It Meaningful and Actionable? HealthcarePapers, 17(2) October 2017: 22-29. Langton, J.M., Wong, S.T., Johnston, S., Abelson, J., Ammi, M., Burge, F., Campbell, J., Haggerty, J., Hogg, W., Wodchis, W.P., & McGrail, K. (2016). Primary care performance measurement and reporting at a regional level: Could a matrix approach provide actionable information for policy makers and clinicians? Healthcare Policy, 12(2), 33-51. Hogg, W., Wong, S.T., Burge, F. (2016) Statistical research: Lost in translation? If you want to get doctors onside, speak their language. Canadian Family Physician, 62(6), 138-139. Lawson B, Dicks D, MacDonald D, Burge F. Using quality indicators to evaluate the effect of an enhanced collaborative care model among a community, primary healthcare practice population. Nurs Leadership 2012; 25(3):28-42. Burge F, Lawson B, Mitchell G. How to move to a palliative approach to care for people with multimorbidity. BMJ. 2012;345:e6324. Maddison AR, Asada Y, Burge F, Johnston GW, Urquhart R. Inequalities in end-of-life care for colorectal cancer patients in Nova Scotia, Canada. J Palliat Care. 2012 Summer:28(2):90-6. Burge F, Haggerty J, Pineault R, Beaulieu M-D, Levesque J-F, Beaulieu C, Santor D. Relational continuity from the consumer perspective: Comparison of primary healthcare evaluation instruments. Healthc Policy 2011;7(Special Issue): 124-138. Burge F, B Lawson, K Van Aarsen, Y Asada, G Flowerdew, P McIntyre, E Grunfeld. Is Having an Advance Directive or Living Will in Place Associated with Family Physician Home Visits at the End of Life? 40th North American Primary Care Research Group Annual Meeting. New Orleans, LA. Dec 1-5, 2012. Burge F, Lawson B, VanAarsen K, Johnston G, Asada Y, Flowerdew G, McIntyre P, Grunfeld E.
Lawson B, Burge F, MacDonald L, Smith P, Edwards L. Family Practice Nurse & Family Physician Teams: Evidence of Healthcare Service Improvements in Fee-for-Service Settings. 39th North American Primary Care Research Group Annual Meeting. Banff, AB. Nov 12-16, 2011. McIntyre P. Transitions in Location of Care at the End of Life. 39th North American Primary Care Research Group Annual Meeting. Banff, AB. Nov 12-16, 2011. Annual Meeting. Banff, AB. Nov 12-16, 2011. Burge F, Lawson B, Gass D, Natarajan N, Putnam W, MacPhail J, Archibald G, Lussing F. Acceptable linking of quality and payment in primary healthcare: A Canadian view. 37th North American Primary Care Research Group Annual Conference, Montreal, QC, Nov 14-18, 2009. Lawson B, Burge F, Heath S, Ryan S. Using quality indicators to evaluate the effect of implementing an enhanced collaborative care model in community practice. 37th North American Primary Care Research Group Annual Conference, Montreal, QC, Nov 14-18, 2009. Natarajan N, Latter C, Buhariwalla F, Goodfellow M, Goodine RA, Hall J, Lacey K, MacDonald I, Murray M, Smith P, Lawson B, Burge F, Putnam W, Godwin M, Dunbar P, Sketris I, Mann E. Adherence to antihypertensive medication in primary care patients with type 2 diabetes. 37th North American Primary Care Research Group Annual Conference, Montreal, QC, Nov 14-18, 2009.